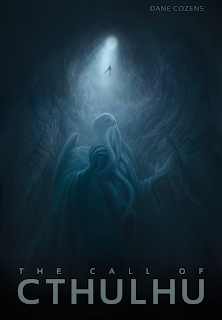 I recently read The Call of Cthulhu, and was really inspired by its religious and mystic connotations. 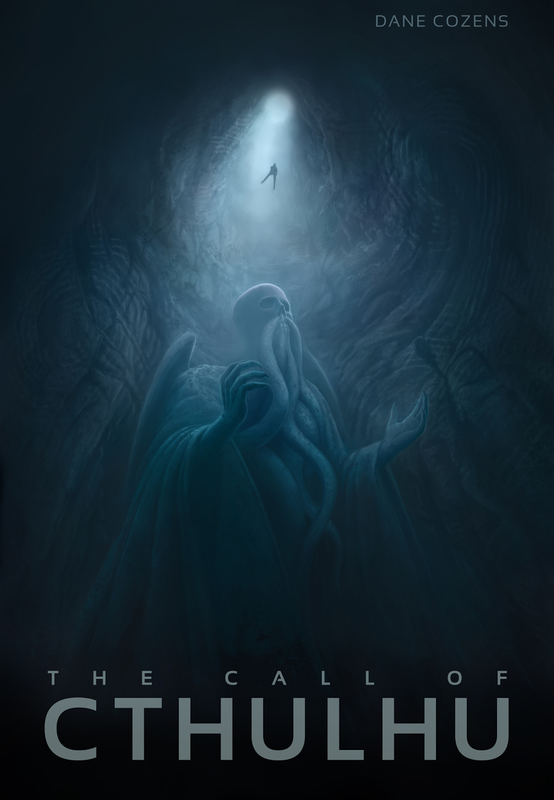 Before reading the story I had no clue how ancient and mystical Cthulhu was. I tried to play with those elements in this illustration, and I really liked the idea of having the protagonist floating in a ray of light in front of a giant Cthulhu sculpture. It seemed like a fun way to both reference the lights of alien abductions and the heavenly rays of divine rapture. However, in this instance our hero manually descends to Cthulhu by rappelling.